Mr Genise graduated with full marks at Milan’s Università Cattolica del SacroCuore, with a thesis in tax law. He has since specialised in business valuations, the tax treatment of extraordinary corporate transactions, and domestic and international tax planning, workingalongside the leading firms in those areas. A frequent participant in the organisation of conferences for the Milan Association of Commercial Accountants, Mr Genise has a close working relationship with the association and contributes to its annual offer of [free] telephone advice to readers of the Corrieredella Sera newspaper. Mr Genise is admitted as a professional mediator, under Italy’s Ministerial Decree 180/2010; and is registered with the Chamber of Arbitration and Conciliation of the Milan Foundation of Commercial Accountants. A lawyer with rights of audience before Italy’s Supreme Court, Prof Zucchetti specialises in civil and administrative law. 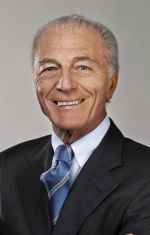 Formerly a Contract Professor at Milan Bicocca University teaching local authority and constitutional law, Prof Zucchetti is also a professional mediator with the Milan Lawyers’ Conciliation Service and at the Region of Lombardy’s CORECOM, the Regional Communications Committee. Prof Zucchetti also organises and teaches on courses, including master’s courses, for lawyers and others. He has authored books and other publications on administrative law, local authority law, environmental law, planning law, and the law governing public-sector contracts. 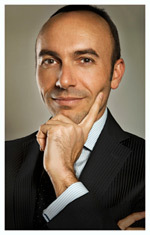 Born in Milan on 29 October 1971, Mr Ganassini graduated from Università Cattolica del Sacro Cuore. He has been a practising lawyer since 2000, and in 2006 he obtained a Master’s diploma from Infor, in tax and company law. Mr Ganassini has built up experience and expertise working with major international management consultancy and law firms, working on both litigation and transactional matters. 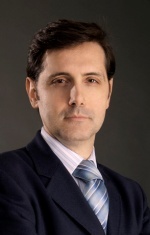 His work is focused in particular on advising small and medium-sized enterprises,in particular with regard to commercial law,employment law and tax law.In the latter field in particular, Mr Ganassini has expertise on tax dispute resolution and litigation matters. Olivier Lassoie graduated from the Catholic University of Leuven, Belgium, and Milan’s Università Cattolica. He is qualified at both the Brussels and the Milan bar. Previously, Mr Lassoie worked at the European Commission, in the Competition section, and with a number of major US and international law firms, acquiring considerable experience in both contentious and transactional matters at an international level. His principal clients are multinationals and companies with international operations. Mr Lassoie is focused upon advising on matters related to the commercial distribution law and employment law, including international litigation matters in those areas. He is also an expert on banking and insurance compliance. 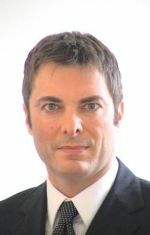 Born in Milan on 9 May 1970, Ms Ferrante has an accountancy qualification and has also been admitted as a Labour Consultant since 1995, enrolled with the Order of Labour Consultants of the Province of Milan. She has broad expertise on personnel administration, social security and welfare legislation, and on matters of employment law. Mr Consoli is a registered customs agent with over 40 years’ experience in the field, with huge experience and expertise. He advises and assists national and international businesses operating in a number of different sectors, providing customs advice, handling import-export matters, assisting with Intrastat declarations, [black list transactions], and customs controls.